Not for the first time, the debate about whether the FAI should persist with Martin O'Neill as manager or not is dominating the narrative following another grim few days for Irish football. 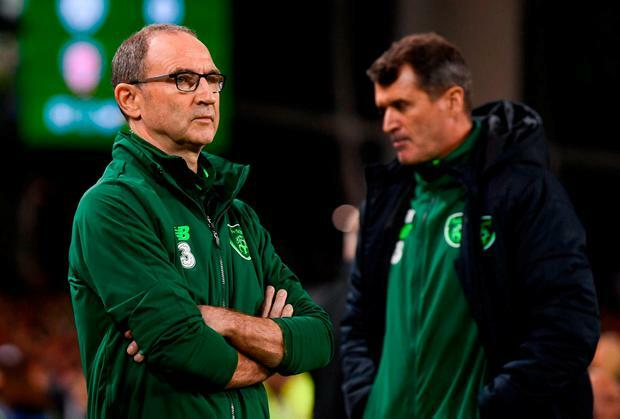 O'Neill was in fighting form after the 1-0 defeat to Wales in Dublin on Tuesday night, a loss that has left his men almost certainly facing the prospect of being third seeds for the Euro 2020 qualifiers. O'Neill is adamant he will succeed in guiding Ireland to Euro 2020 but should he fail, it would prove costly for the FAI. But so too would sacking the Derryman and his assistant Roy Keane, with the duo commanding an estimated salary of €2.6million - €2million for O'Neill and €600k for Keane. Any pay-off of the management team would cost the FAI around €3million when the extended backroom team are taken into account. The FAI have been criticised for paying such large managerial salaries with the latest estimates putting O'Neill in fourth position with Keane making the top 10 in Europe. The Corkman earns more in a year as an assistant than Ryan Giggs does as Welsh boss. In today's Herald, Aidan Fitzmaurice broke the figures down. In the Nations League, Ireland cannot be promoted; they will be relegated to League C unless Denmark lose to Wales, and then Ireland win in Aarhus. As things stand, the Republic of Ireland will be third seeds for the draw for the Euro 2020 qualifiers.